Kiko is a brand that is relatively new to me but one I can't wait to explore more. When you go in one of their stores there are just SO many things to look at that I end up darting about all over the place like a crazed loon. The product range it really extensive and the range of colours is bloody brilliant. I also like that they don't charge an arm and leg for such good quality products- who wouldn't like that? 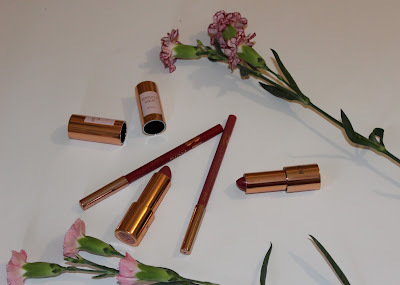 Anyway lets get to the point- I discovered a Kiko store whilst on holiday in Portugal and just had to have a look at the new Rebel Romantic range. It all looked gorgeous and dare I say very 'Charlotte Tilbury-esque'. The rose gold packaging is just perfect. The products I have liked the most from this range without a doubt are the 'Intensely Lavish' lipsticks and lipliners. The colours are beautiful and the formula is long-lasting and moisturising. There are 6 lipsticks and they all have a matching lipliner, I have the shades 01 Lusty Peony and 05 Heavy Cherry. 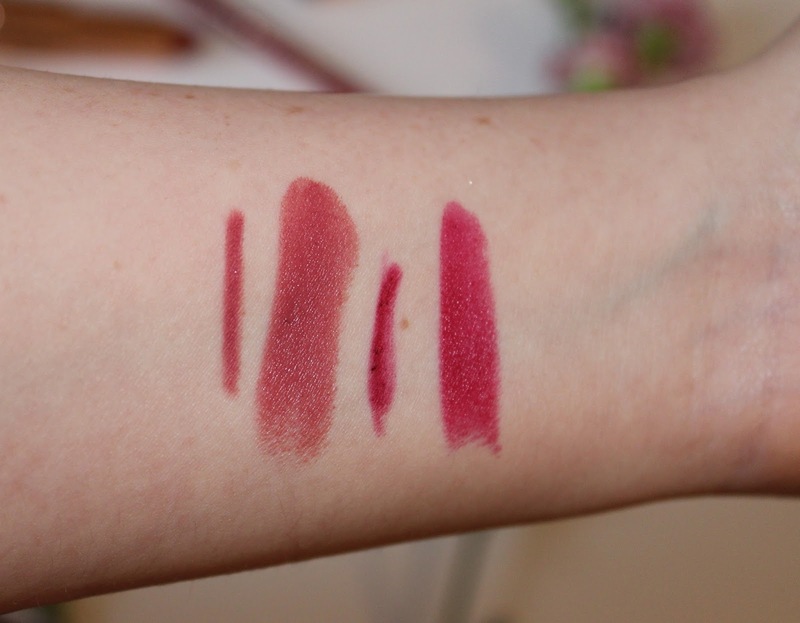 01 is a pretty pink shade that is great for the day time and 05 is a red/ pink berry shade which I think you could wear for any occasion, they're both very wearable and pretty. Bold, but not too in your face! Definetely have a look at this range if you get a chance. I'm really keen to try some more products from Kiko so, as always, please leave me some suggestions!